Janus Capital bond manager Bill Gross says the time has come to take some chips off the table. Bond manager Bill Gross is warning that the likelihood is low policymakers will succeed in lifting the economy out of its “new normal” debt crisis — at least in his lifetime. Indeed, the overall sense of discouragement reflected in his December investment outlook suggests a view that the “new normal” will miff future generations who will puzzle over our current policy failures. But doing so would require that initial conditions not be so onerous, that monetary and fiscal policy be coordinated and that private investors participate constructively. In Gross’ analysis, we have come up short in all three of these requirements. First of all, the unattractive environment that has prevailed in recent years — particularly the prevalence of unfavorable debt-to-GDP ratios — presents a formidable barrier to economic rejuvenation. “It is difficult, for instance, to imagine Japan getting out of its quagmire of debt by simply creating more of it and buying 100% or more of the new and current supply,” writes Gross, adding that Greece and other weaker economies in Europe also faced a level of debt from which extrication would be quite difficult. But add to massive debt the burdens of aging populations, the challenges of technological development and other growth-stunting factors that former Treasury secretary Larry Summers referred to as “secular stagnation,” and the “old normal” looks very hard to recover. The second problem — that of monetary and fiscal policy coordination — is everywhere evident. While acknowledging there are fringe alternatives — say, a 3-year Brazilian government bond yielding 12.5% over a 3-year German government bond yielding -0.05% — Gross says that investors have voted for the low yields but at the price of a highly distorted market. Policymakers’ theory seems to be that low rates will boost consumption and growth, but the reality, he suggests, is that investors may actually be saving extra hard (because rates are so low) to pay for future expected liabilities such as education, health care and retirement. 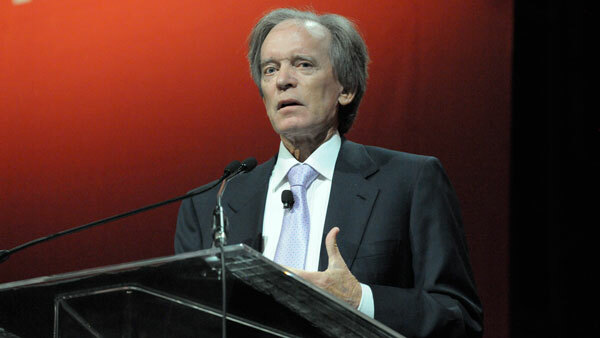 — Check out Fall of the Bond King: Gross Lost an Empire as PIMCO Cracked on ThinkAdvisor.